Supernatural Truth in Christ or STIC, is a website that is designed to promote the Word of God, introduce people to Jesus as their Savior, and to edify believers. Also shedding light on the truth of Christ, as he is the only real way to God the Father, and any other way is completely false. God’s Word is treated on this site as the final authority in any given situation or any given topic. Though at times, it may be necessary to step outside of God’s Word to expand on limited topics of discussion, anything that runs crosswise with the Bible will not hit the pages of the Supernatural Truth in Christ site. Comments are encouraged on nearly every page on this site. Reason being is not only for people to leave their remarks or opinions, but most importantly for others to read questions and answers, and perhaps have some unspoken questions of their own answered. But nothing grabs someone’s attention like a personal testimony. Please leave your testimony about what the Lord has done for you! Or more specifically, your story of how you came to Christ, and what he’s pulled you out of. This is always important and always has been. So if you choose to do so, please by all means feel free! The reason your testimony is so important is because people who read it or hear it may find that they relate to your previous condition, and would like to know how you escaped from that, into who you are today, in Christ Jesus! The whole angle that this site is coming from is to rekindle the Supernatural Truth that is found in Christ Jesus. Too many people go to sources outside the church, or otherwise, the Body of Christ, because most brothers and sisters in Christ have not equipped themselves with the answers to the tough supernatural questions that are out there. There are things going on out there that we use to only hear scarcely, but now are burgeoning such as hauntings, alien abductions, New Age movement and all of it’s different tentacles, secret organizations (Illuminati for example), and so on. But not only to be a place to be able to come with supernatural questions and answers, but to also rejuvenate the whole idea that our God is a supernatural being, that does everything supernaturally. He leaves the natural stuff to us. Throughout time, much of the Gospel and in most areas of the Bible, society and religion has watered down God’s Word, and has removed the teeth from it. It will not be so on this site. All readers are encouraged not to take any opinion or teaching from this site (or any other site for that matter), without searching out the scriptures to make sure what is being taught is true. The same should be said for any prophetic word, utterance, or vision recorded on STIC. This also goes for any videos found on the site. Hold all things to the standard of God’s Word. Looks like there an error in the translation, but I do get the Praise the Lord, so to that I say Praise the Lord God Almighty, and his precious only begotten Son Christ Jesus!! And I thank you for the comment! Great Brian! We feel exactly the same!! heehee May God bless you entire week in Jesus Precious Holy Name. Awesome Kitty, Thank you and may he bless you and all of yours in Jesus name. I rely heavily on the King James version of the Bible, and believe through the experiences that I’ve had personally, that it is the written and preserved Word of God. I speak English, and know only few Hebrew words. The Lord hasn’t placed any importance on my heart at all to dive into learning Hebrew, any farther than to research a particular topic, or something along those lines. I do understand that others feel differently, and I’m totally good with that. I’m not the type that tell them they’re going to hell for placing the law back over their heads instead of grace, or anything else people may say to others that are doing what they feel is bringing them closer to the Father. If someone feels better calling Jesus Yeshua, Yehoshua, Joshua, etc., if they are talking to or about the Only Begotten Son of God Almighty, then I believe that the Lord knows full well who they’re talking to. I’m sure Jesus isn’t confused between languages. lol. And as far as the Father goes, I do what Jesus did, and call him Father in prayer, the father when referring to God Almighty. I very rarely refer to him as just God, because depending on who you’re talking to, a question is often thrown back,”What God?” or “Which God?) So generally, I stick with calling the Father, Father. I guess what I’m saying is, you can call Jesus Yeshua, and I’ll call Yeshua Jesus, and because we’re talking about the same person as Christ, that same person knows who we’re talking to. 🙂 I hope I’m making sense. lol. Thank you for your comment and may the Lord bless you in Jesus name! It came through correctly on this end. It does say thebrother@enlightenidiots.com. Maybe it just wanted to give you an argument! lol. Thanks for your kind words about the site! It’s definitely been a wonderful experience making it, but as far as it being a dying niche, I don’t think so to be honest. Not yet anyways. There will be a time where sites like this will be pulled right off the internet, mark my words. Those troubles are brewing just under the surface in the United States at this time, and are happening at full blown persecution in Biblical proportions in many places around the world. But here, arrests and lawsuits are going on in different states against Christians that will not bend their belief systems to cater to the wickedness of this world. As far as I’m concerned, it’s par for the course. 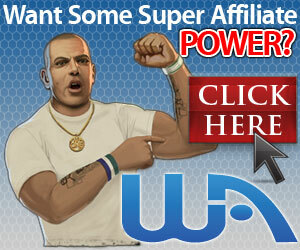 As far as promoting Wealthy Affiliate, I honestly put my experiences and opinions in there about it. And you’re right, if I was full of bologna, I’d have to answer for it. I haven’t gone through the majority of the training concerning the making money end of the program, so I’m not a good voice concerning that part of it. That’s not the main objective I walked in there with so to speak. But there are people that have gone there with that sole purpose in mind, and from what I see of them, they’re doing well. I get all kinds of blog posts from others asking to welcome in a new member who stuck around to catch the value of becoming a Premium member, and celebrating different sales from Amazon, different outlets like that, etc.. But having gone through the training to build a site that brings in traffic so what you are trying to say reaches people that will benefit from your site, or will be interested in what you’ve got to say, I’ve got nothing but positive things to say about them and am happy to give credit where credit is due! Their training programs helped me to save tons of time by good SEO housekeeping, as the best practices change quite a bit. Keep that in mind as you go forward in your online adventure! God bless you and thanks for your comment and kind words! Yes! Demons and the Devil exist! May all the Glory be given to our Lord Jesus! Thank you Timothy, Very kind of you to say so! Sure, I’ll go over there and check you out. Hi Brian, I love your site. It makes my day. This is truly my cup of tea. I have learnt a lot. It was nice also to meet you,my brother. Thank you for your kind words & encouragement! It’s comments like that that keep me wanting to keep this running! All glory to the Lord Jesus! You have a nice website here and I believe this is really a tip-top niche that not many people would think of. Nice site! Thanks for sharing your ideas. It is always good to meet fellow believers. Keep pressing in! Thanks for your comment & enjoy the site! God bless you! Have you heard of Re-Digging the foundation ministry in durham, NC? Not till now. lol. I’ll go and check them out!